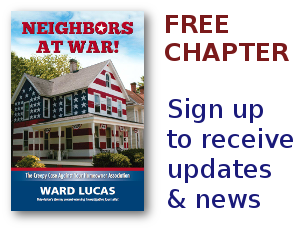 HOA Abuse Archives - Page 3 of 88 - Neighbors at War! Four days ago I blogged about a retired Air Force pilot suffering from leukemia in San Antonio. The city is trying to fine him because of his uncut lawn. Other bloggers put out the word as well. I’ve now learned that volunteers in Texas are stepping forward to help this man in his time of need. Isn’t America a great country?